Death and dying is a universal human experience, yet human beings’ beliefs, feelings, and practices in regard to this experience vary widely between different religions and cultures. Maybe you have a friend that is has just lost a loved one and you want to be culturally sensitive during this difficult time. For people from diverse cultures, we need to remember that dying is difficult enough and no one needs to undergo additional stress or suffering as a result of cultural misunderstanding. We must also resist the temptation to make generalizations or assumptions that all individuals from the same cultural, ethnic, or religious background are exactly alike. Within many ethnic populations there is a great deal of diversity in terms of geographic origin and they encompass varied cultural backgrounds and traditions. However there are surprising similarities that unite us at the end of life. From the time of death until burial a Jewish body is never left unattended. Its preparation for burial (cremation is forbidden) is governed by a set of customs known as tahara. First the body is washed, symbolically purified by water, and finally dressed in a plain white shroud called a tachrichim. The body is buried in a simple casket, in keeping with the Genesis verse which states “Unto dust shall you return”. Another custom requires mourners to wear a torn piece of clothing or a torn black ribbon during the week-long period of mourning observed by close relatives known as shiva. Family members ‘sitting shiva’ do not leave the home during this period, instead gathering to pray each day. 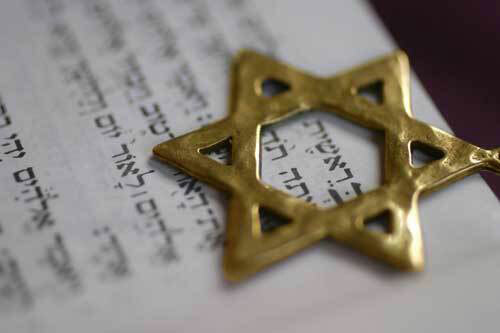 A longer period of mourning is shloshim, which lasts 30 days after death. The loss of a parent requires a year of formal mourning. To learn more about Jusaism funeral rites, check out this link! On their deathbed, a Muslim is encouraged to say the Shahaadah, a declaration of faith. Once dead, funeral rites and the burial must take place as soon as possible. Cremation is forbidden due to the Islamic belief in physical resurrection following the final judgement. To prepare a body for burial, it must be washed three times, covered with a white sheet, and then shrouded in three layers of white cloth. The body is then taken to the mosque for funeral prayers, or Salat al-Janazah. The body is traditionally buried without a casket in a grave which runs perpendicular to Qibla, or Mecca. It is laid on its right side to face Qibla, and a layer of stones or wood covers the body to prevent contact between it and the soil above it. Each mourner present at the funeral throws in three handfuls of soil, and once the grave is filled, a small marker of stones is placed on it. Lavish monuments are not encouraged. A mourning period, known as hidaad, lasts three days. Traditionally widows observe a longer period of mourning lasting four months and 10 days known as iddah, during which time they are not permitted to interact with na-mahram, or men they might marry. 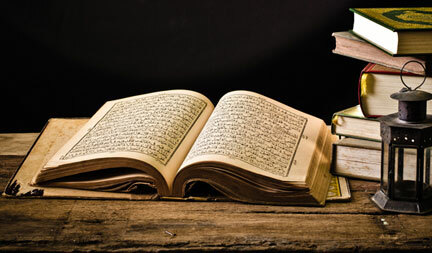 To learn more about Islamic funeral rites, check out this link! In the religions of Africa, life does not end with death, but continues in another realm. The concepts of “life” and “death” are not mutually exclusive concepts, and there are no clear dividing lines between them. Human existence is a dynamic process involving the increase or decrease of “power” or “life force,” of “living” and “dying,” and there are different levels of life and death. Many African languages express the fact that things are not going well, such as when there is sickness, in the words “we are living a little,” meaning that the level of life is very low. Many African burial rites begin with the sending away of the departed with a request that they do not bring trouble to the living, and they end with a plea for the strengthening of life on the earth and all that favors it. Ancient customs are adapted in many South African urban funerals. When someone has died in a house, all the windows are smeared with ash, all pictures in the house turned around and all mirrors and televisions and any other reflective objects covered. The beds are removed from the deceased’s room, and the bereaved women sit on the floor, usually on a mattress. During the time preceding the funeral—usually from seven to thirteen days—visits are paid by people in the community to comfort the bereaved family. 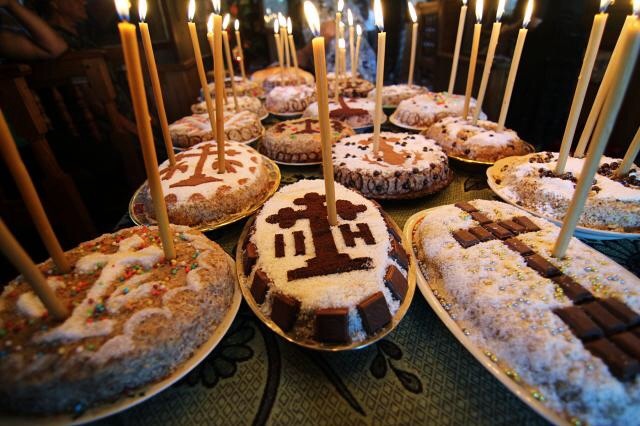 In the case of Christians, consolatory services are held at the bereaved home. The day before the funeral the corpse is brought home before sunset and placed in the bedroom. A night vigil then takes place, often lasting until the morning. 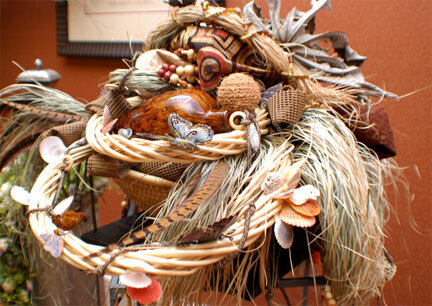 To learn more about African funeral rites, check out this link! In traditional Chinese culture, funeral rites are governed by a complex system of status which decrees that an older person must not show respect to a younger counterpart. This means elders typically do not take part in a young person’s funeral. Once an auspicious day is chosen for the funeral, the body is carefully washed and then dressed, but never in red in the fear their spirit will become a ghost. The body is displayed at a wake where mourners bring flowers and white envelopes full of money to help cover costs. Joss paper, or prayer money, is burned throughout the service for the deceased person to use in the afterlife. Monks may chant Buddhist or Taoist scriptures over the casket, which is taken to the graveside in a funeral procession led by musicians whose music scares away bad spirits. Historically, ancestor worship is important in Chinese culture. Family members burn joss sticks and offer prayers for the dead at an altar in the home. At least once a year they visit the gravesite for the Qing Ming or Tomb Sweeping Festival. 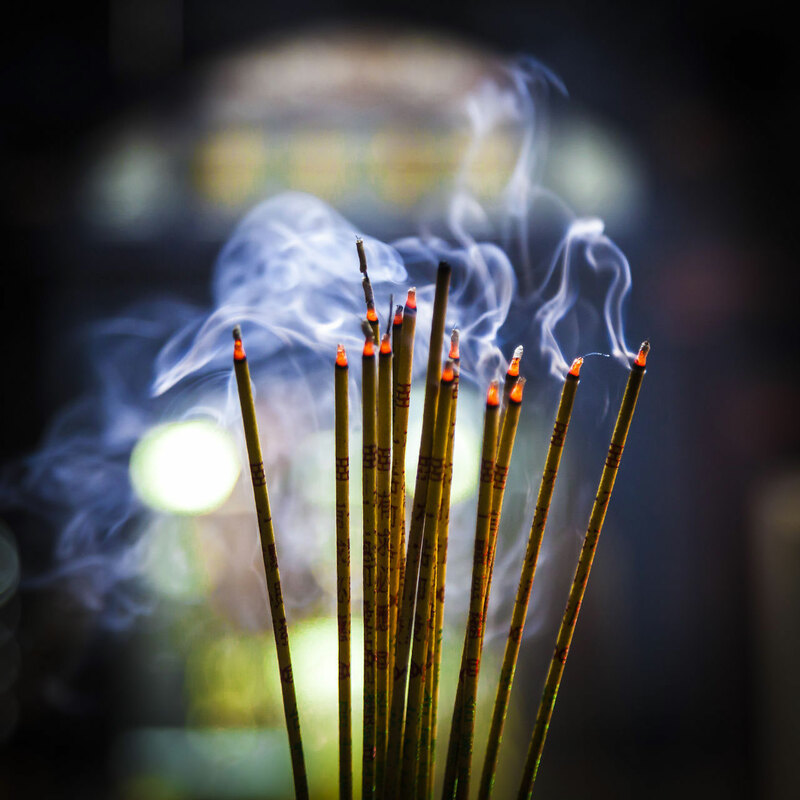 To learn more about Chinese funeral rites, check out this link! In South Korea, a funeral in the city is held in a Jang Ryae Shik Jang. It is a building located near the hospital and it solely for funerals. Kind of like a funeral hotel. Families can rent a space for the 3 days and even rent clothes. With that in mind be aware you won’t be the only group grieving. Upon entering the “mourning room,” there is small alter with a picture of the deceased that has two black ribbons across the top corners of the frame. The main idea is that the room is never left empty so it is very common for the family to stay up to two nights there. Family members will wash the deceased’s hair and apply make up during this time. Once finished, family members may approach the body and say goodbyes, hold hands, etc. When the family is done they will wrap the deceased in linen. It will cover the head and the body. Then, they will lower the body in the coffin which is then covered with another material. Last, they will take a long strip of material and start wrapping it around the coffin to create handles that will allow it to be carried on the third day. A law passed in 2000 requires anyone burying a loved one to remove the grave after 60 years. Because of dwindling graveyard space and this resulting law, cremation has become much more popular. But families don’t always opt for ashes. Several companies there compress remains into gem-like beads in turquoise, pink or black. These “death beads” can be kept safe and close by in a glass box and are then displayed in the home. To learn more about South Korean funeral rites, check out this link! Japan has two spiritual traditions. There is Shinto, which governs the clean and positive aspects of Japanese life: luck, weddings, childbirth, birthdays, careers and fortunes. But for guidance in darker times, people turn to Buddhism. Nearly 85 percent of Japanese funerals are Buddhist. But the two faiths have influenced each other, and even Buddhist rites in Japan include many distinctly Shinto practices. The family is obligated to prepare the deceased for their journey, and to “check in” on its progress through ceremonies and prayers. In the meantime, the spirit is metaphorically moving away from its personality, or ego. As it gradually moves further away, the family has time to adjust to its absence. The body is dressed in a white kimono, like a pilgrim’s, but folded in reverse. Many funeral rites are backward, such as covering the body with a sheet head first, to protect everyday acts from being associated with death. The dead will look back if they hear their name, slowing the spirit on its journey. So the dead is given a new name to use in the afterlife. The new name identifies the spirit in the next world and reflects the deeds and nature of the person who uses it. When the Buddha died, his followers stayed with his body, discussing his teachings late into the morning. It is now tradition for the family to stay by the coffin all night reflecting on the life of the dead. 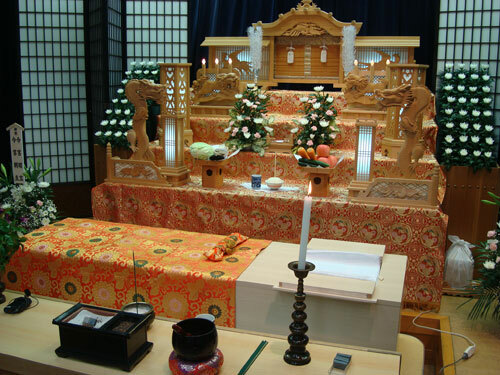 To learn more about Japanese funeral rites, check out this link! A priest should deliver the last rites, a final prayer to a dying Catholic, to prepare the soul for death. A prayer service known as a Vigil is held the night before a funeral, the traditional time to give eulogies remembering the deceased. The funeral liturgy usually takes place at a Catholic church or chapel, but not on holy days like the Sundays of Advent, Lent and Easter. Because Catholics believe in a final judgement and resurrection of the body, burial is preferred, however cremation is now accepted. The final resting place of the deceased person’s body or ashes is blessed by a priest, who then conducts the Rite of Internment, the final prayers before a body is interred. To learn more about Catholic funeral rites, check out this link! Hindu funeral rites are known as antyesti. The body undergoes ritual washing before it is wrapped in a white shroud, or red if it is a wife who has predeceased her husband. The two big toes are tied together and the hands are placed in a prayer position, palm to palm. Ash or sandalwood is applied to the forehead of a man, turmeric to a woman. The body is viewed by mourners before cremation at a funeral service, where offerings of rice balls are often placed by the coffin. Traditionally the body of a Hindu is placed on a pyre on the banks of the holy river, the Ganges. The cremation is usually led by the eldest son of the deceased, who first submerges himself in the water of the river, then circles the pyre three times before setting it alight. Finally, the ashes are consecrated in water. Hindus observe a mourning period of 13 days following a death, which is broken by a ceremony known as sraddha, a ritual paying homage to one’s ancestors that is also performed on the anniversary of a person’s death. 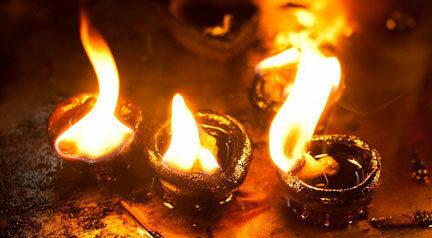 To learn more about Hinduism funeral rites, check out this link! In Greek, the word for funeral also means to take care of someone, and fittingly the traditional funeral rites of Greeks past and present are marked by a caring tribute. The rituals in a Cretan funeral are influenced by the Greek Orthodox Church and also by local cultural traditions and etiquette. A Greek funeral usually takes place within 24 hours of death. The body is dressed and placed in an open coffin by the undertaker and taken home where it is displayed prior to the funeral. Relatives and close friends will visit the deceased at home to pay their respects. The coffin lid is placed outside the front door of the house. 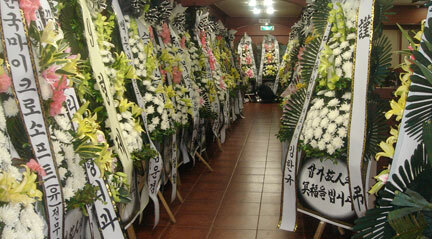 Funeral wreaths are only given by close relatives and these wreaths are placed outside the house with the coffin lid. Koliva is a boiled wheat dish made for funeral and memorial services and distributed to those in attendance that is heavy with ritual significance. It’s more metaphor than food, really, symbolizing the circle of death and rebirth. The wheat berries represent the promise of everlasting life, the raisins the sweetness of life, and the spices are symbols of plenty. 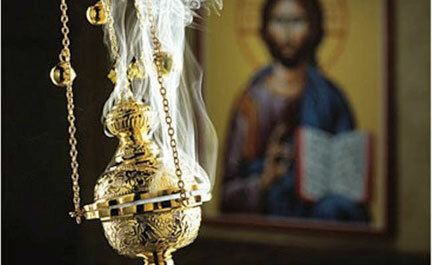 To learn more about Orthedox Greek church funeral rites, check out this link!